I like a little bit of bling, and what better way to add it to your projects than a touch of Stampin’ Up! Glimmer Paper? What can be said about Glimmer Paper other than yum! It comes in red, gold, dazzling diamonds and silver. Now, I am the first to admit that it is not cheap, but you only need a tiny bit to add impact. 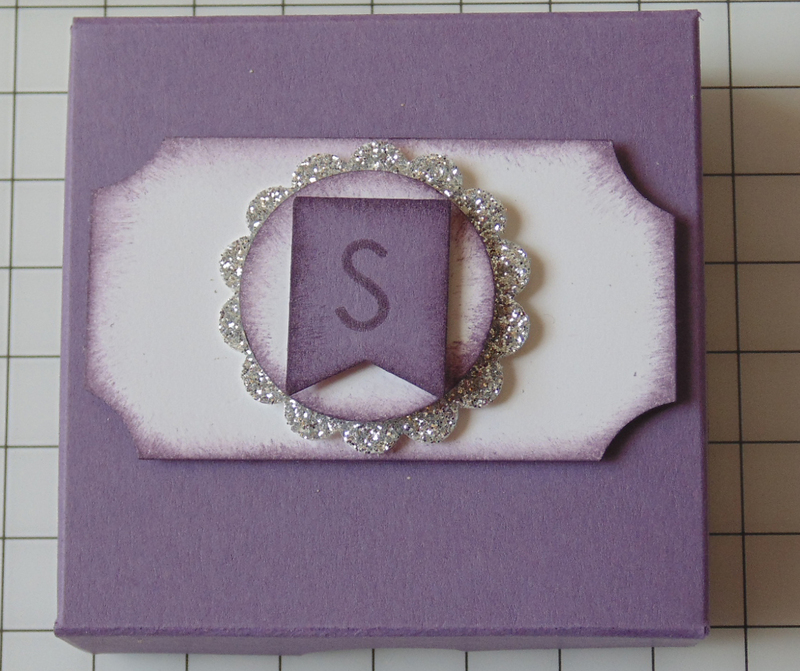 I thought that silver glimmer paper was a great way of making colours pop on this tiny box. If you want to see a video of the box click here. If you listen very carefully, you will be able to hear the dog crunching on her kibble! Score the first at 20mm (3/4″) on all four sides. Score the second at 20mm (3/4″) on two adjacent sides and 19mm (12/16″) on the other two. This is your lid. 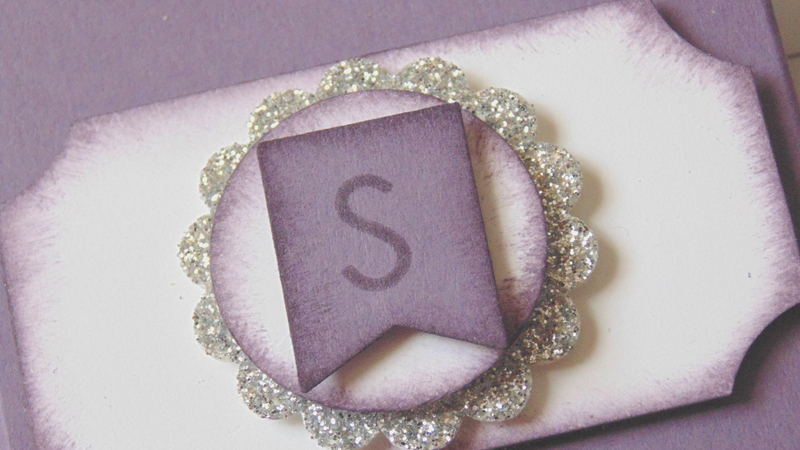 Next cut a rectangle of Whisper White cardstock and using a circle punch remove a little of all four corners. Ink all sides with Tangerine Tango. Punch a circle of glimmer paper with a 1 1/4″ scallop circle and a piece of white cardstock with a 1″ circle which then needs the edges inking. Finally stamp your chosen initial with a letter from the Back to Basics Alphabet stamp set and punch with the Banner Punch. Layer using dimentionals and pop on top of the box. Tangerine Tango cardstock and ink. Back to Basics Alphabet stamp set. 1 1/4″ Scalloped Circle punch. If you have any questions, or would like to order any of the goodies I have used in this project, please let me know.